Free Subscription: "Cabling Installation & Maintenance"
Cabling Installation & Maintenance is the leading source of practical, hands-on information for professionals who design, install, and manage the physical-layer infrastructure for the communications systems of today and tomorrow. By submitting this content request, I have legitimate interest in the content and agree that PennWell Corporation, their partners, and the creators of any other content I have selected may contact me regarding news, products, and services that may be of interest to me. Do you wish to receive a FREE subscription to Cabling Installation & Maintenance? 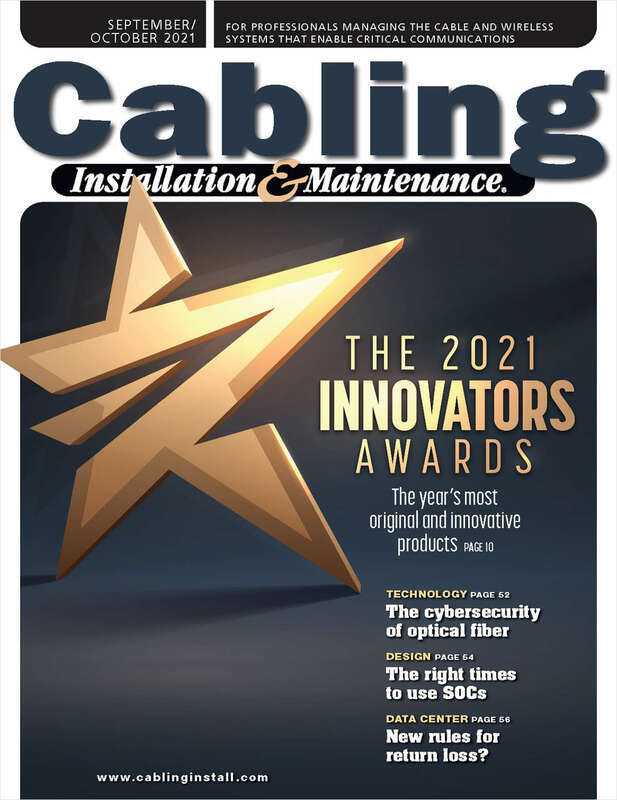 How would you prefer to receive your copy of Cabling Installation & Maintenance magazine? Which of the following best describes your company's primary operation? A. CABLING MEDIA F. NETWORK & ELECTRONICS cont. Complete and verifiable information is required in order to receive this subscription. • Geographic Eligibility: USA (Print or Digital Edition), Mexico, and Selected International (Digital Edition Only). • The publisher determines qualification and reserves the right to limit the number of free subscriptions.